In the most recent number of Aziatische Kunst you will find a concise catalogue for the exhibition in the Pavilion, in which ten scroll paintings that were donated by Jan Piet Filedt Kok to the Rijksmuseum, accompanied by two paintings from the collection of the Asian Art Society, will be exhibited. On view from 19 April until October. Anna Slaczka writes about a South-Indian column that was acquired by the Society in 1955, there is an article about the restoration of a Japanese screen, as well as one about small Chinese whistles of which the oldest ceramic examples date to the Tang-period (618-907). 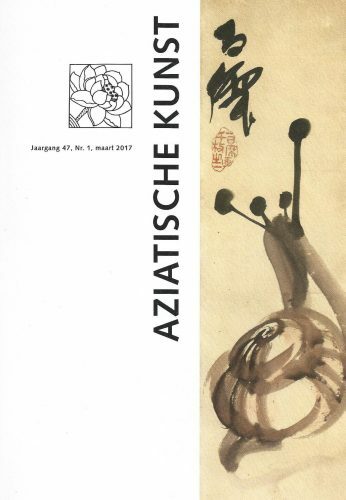 Soon the editions of Aziatische Kunst will be available through our webshop. Some issues can already be downloaded.